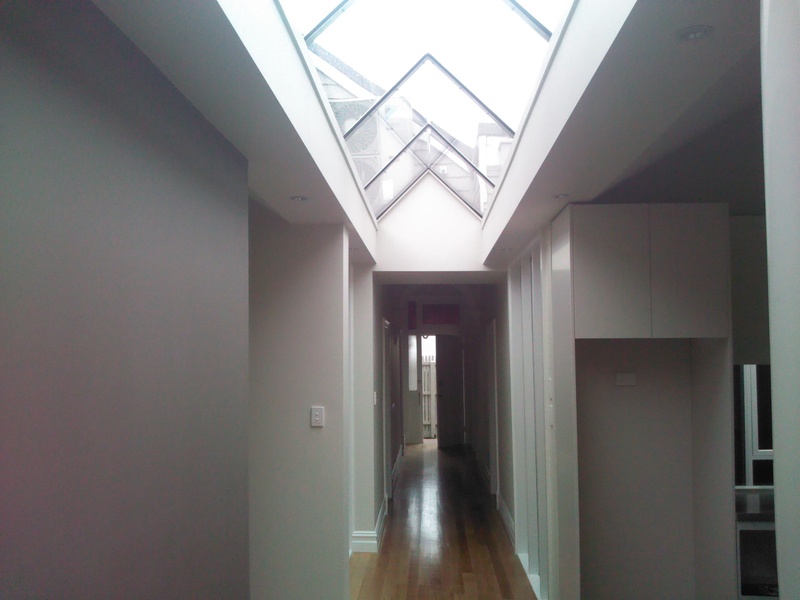 Our South Yarra Renovation was an extremely comprehensive project which required careful thought and diligent planning to achieve these stunning results. 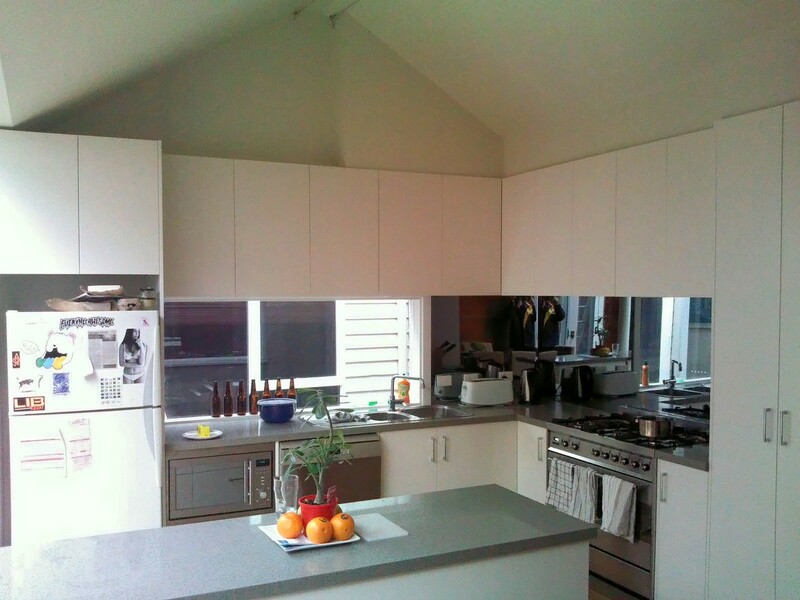 It involved a complete renovation of all 3 bedrooms, 2 bathrooms and all living areas including the kitchen. 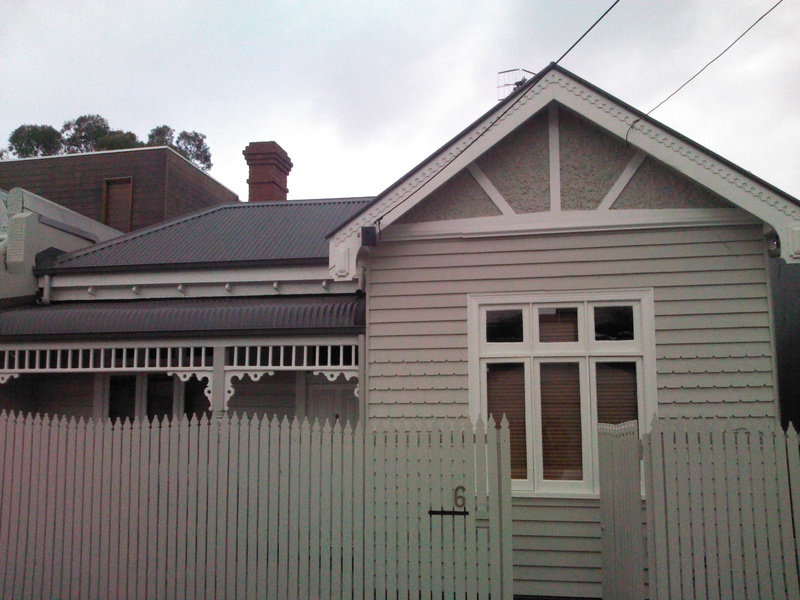 We also went to great lengths to completely restore the very tired external skin of the home back to its former glory, complete with modern period style colors and features including notched weather boards, stucco render and barge trims. No detail was overlooked or discarded in our efforts to make this a truly beautiful and amazing transformation. 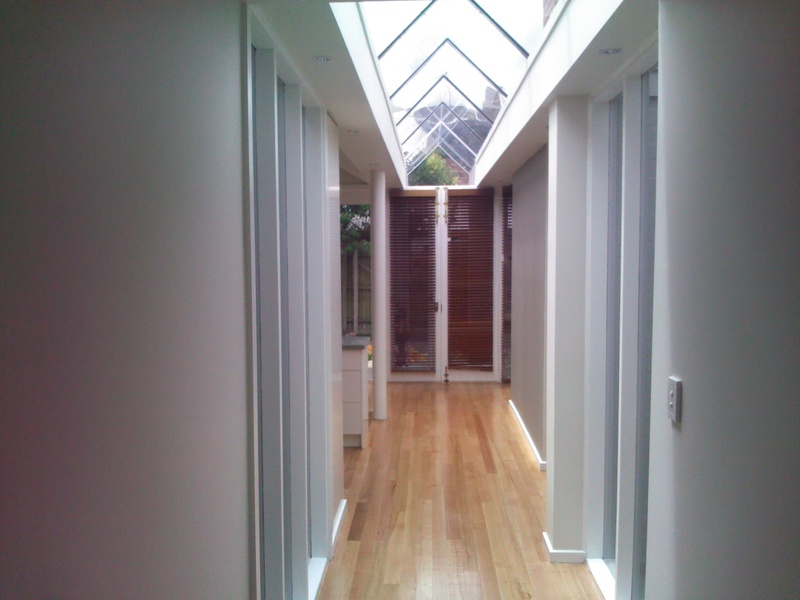 We started by carefully raising the existing front 3 rooms which had suffered trauma over the years and completely replacing the structural floor area to give a strong foundation for the home. 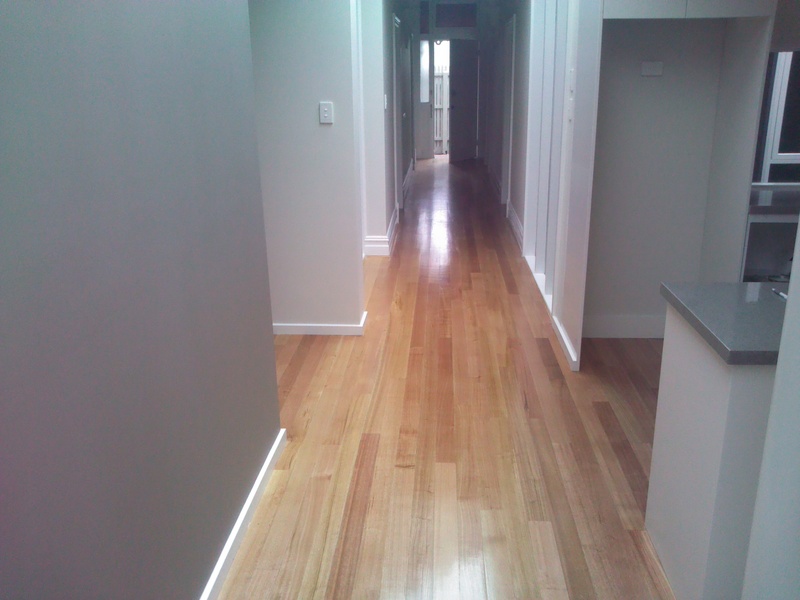 All floors and walls where required were replaced, and matched exactly to an existing concrete slab so all the new timber floors matched in perfectly. All the existing weather boards were also replaced including high end insulation being installed to the walls for the clients comfort. 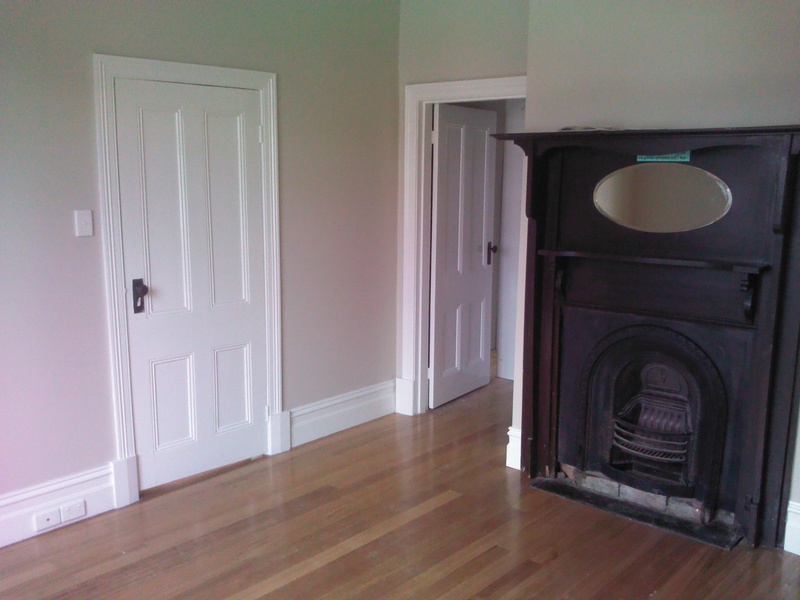 All the plaster to these areas was also replaced with period cornice and brand new wall plaster, meticulously finished. 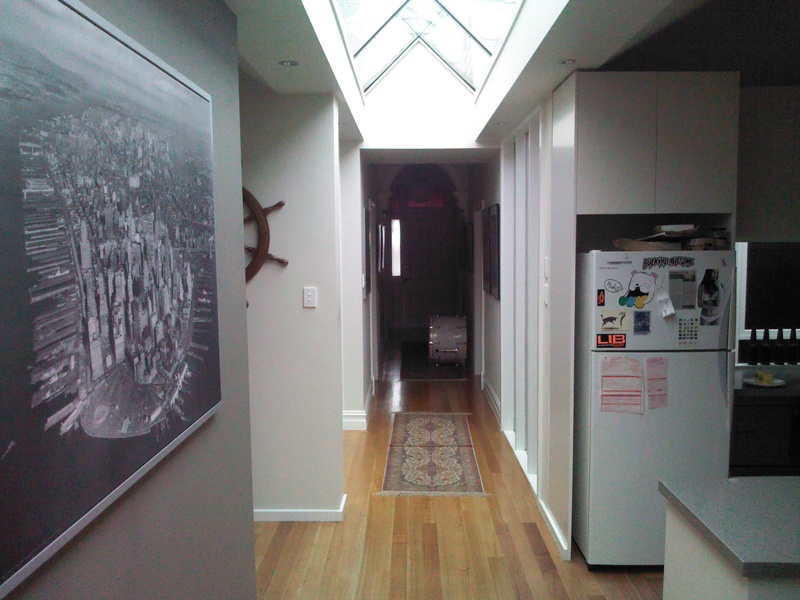 The rear living area had a pitched glass ceiling installed in the hallway to bring in much need light to the Kitchen and Living rooms which helped highlight the new hardwood floors which were installed. We also added in new full height windows to the hallway to again lighten up the area, which allowed fantastic views of the central atrium style garden within the property. The renovation also included a brand new Kitchen with 2 pak finished cabinets, Caesar stone bench tops and metallic glass splash-backs complemented by stainless steel high end appliances, creating a user friendly space which faces a comfortable living area. Our clients were extremely happy with our attention to detail on the finishes, and thoughtful attitude towards to whole project. The communication was a strong point. Scott would have at least weekly email updates, often including photos of the work’s progress. He always answered the phone. For attention to detail, there were no issues. The finishes were excellent. We were very happy with the level of finish. For responsiveness, if we had an issue or a problem to solve, Scott was very happy to make accommodations and always responded promptly. We love the final renovation. It has transformed the house and made it a very pleasant living environment.